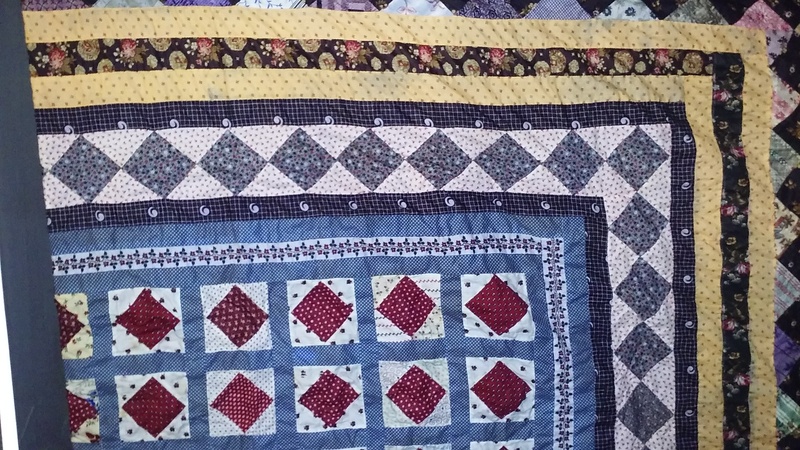 Both these antique quilt tops are a lovely example of quality workmanship of 1800’s artistry using needle and thread. Carefully stitched 9-12 stitches per inch, and hand pieced. The scraps used would have been floor room scraps from shirt and dressmaking, as fabric was an expensive commodity, not to be wasted. This third picture close up shows how there were even a mixture of different reds in this bordered square in a square quilt.